A web (or cobweb) is what spiders weave. The fly was caught in the spider's web. A web is also something that is interconnected. The hiker looked at the sky through the web of branches. The politician was caught in his web of lies. Paul found a web of wires underneath the desk. 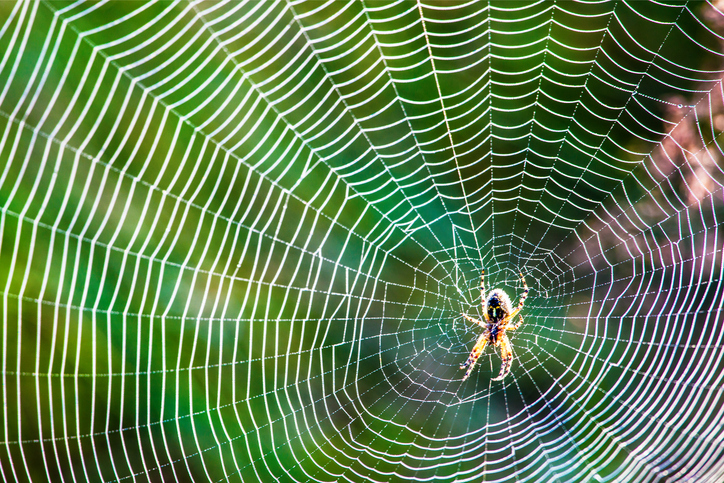 A web can also be the skin-like material connecting the digits of a sea animal. The webs on the duck's feet help it paddle through the water. When you see ‘www’ in an internet address, it stands for ‘World Wide Web.’ The World Wide Web was invented by Tim Berners-Lee and Robert Cailliau in 1989. They probably envisioned a web page and all the pages that link to it as a spider’s web. Charlotte’s Web is a classic children’s book about a spider named Charlotte and a pig named Wilbur. It was made into a movie in 2006. Watch the scene where they meet. There are other meanings of web.